High quality Tomball AC repair, installation and replacement is just a phone call away. Call 281-704-3696 today and we’ll provide the solution you need. Check out our current deals and coupons when you click here. Most Texas homeowners worry about their AC breaking down at some point, especially when the temperatures hit triple digits and there is no end in sight. You know that your air conditioner is working hard, and that even a short period without it will create a potentially dangerous situation inside your house. Having access to a reputable and experienced cooling specialist for these situations will help you relax and keep your anxiety on the backburner. Click here to find out what your neighbors in Tomball, TX are saying about our cooling services. When is It Time to Replace Your AC Filter? A good rule of thumb is to change your filter, or at least check it, every three months. If it is visibly dirty, you will need to replace it. Dirty or clogged AC filters will lead to increased energy bills and reduce the air quality in your home. It’s rarely a good idea to try DIY AC installation because there are many components and steps involved in getting your air conditioning installed correctly. A licensed installer knows all the ins and outs of an AC system, as well as the different manufacturers and your local building codes. Professional installers also have experience, which means they have troubleshooting skills that can come into play if something goes wrong. Should You Try Ductless Air Conditioning? If your air conditioning system isn’t providing you with reliable service, you may want to consider a ductless mini split AC system. With a ductless system, you will eliminate air quality problems that come about when standard air ducts are in use. You will also be able to control which rooms are cooled and which rooms aren’t. This can ultimately lead to savings on your cooling bills. 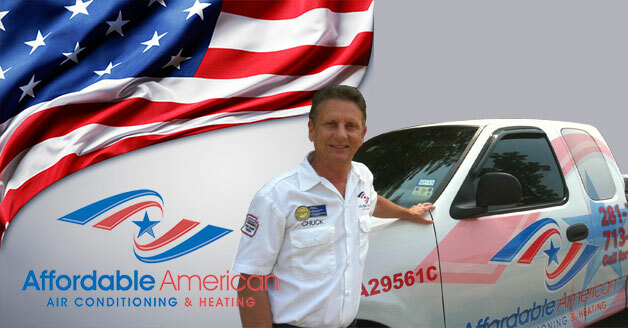 At Affordable American Air Conditioning & Heating we are committed to providing you with quality solutions at the best value. All of our services comply with local codes and safety standards, ensuring your long-term peace of mind. Don't wait any longer to have your AC equipment repaired or replaced. Give us a call today to schedule an assessment with our experts and be on your way to greater indoor comfort in no time. Keeping your home comfortable during the summer heat is critical. Call Affordable American Air Conditioning & Heating at 281-704-3696 in the Tomball, TX area and we will solve all of your cooling issues quickly and affordably.